Your ticket to a successful celebration? 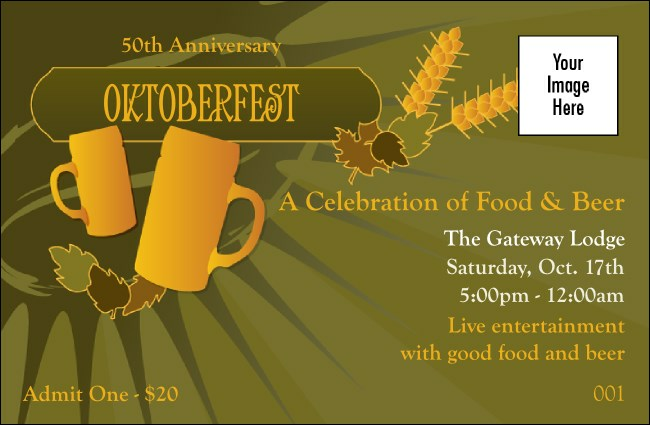 The Oktoberfest Drink Ticket! In the celebration of the best beer in the world, lift your glass high and toast the simplest way to sell drinks in advance or at the door while keeping the lines at the bar short and sweet and giving your bartenders an extra hand. Fill in the easy template below and we'll do the rest! Prepare to tap that keg with Drink Tickets from TicketPrinting.com.